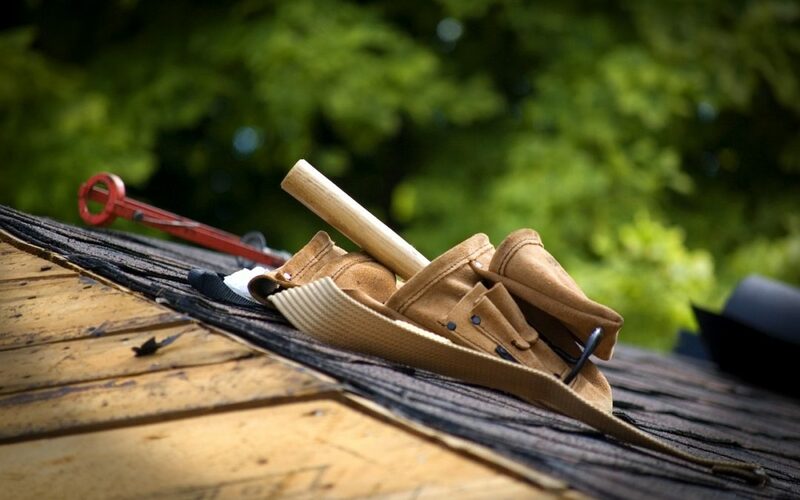 When the shingles are disappearing off your roof and there are unexplainable leaks that continuously pop up, you know that you are going to have to call a roofer. With roofing cost a lot of money, it’s not surprise that you want to hire the right contractor for the job. Moreover, you want someone you can trust. But how do you hire the right roofer? What qualifications should be you looking for? Today, we’re going to provide you with insight on which questions to ask a roofer before hiring them so you can find the most professional roofer for your needs. Firstly, you always want to ask about the qualifications a roofer has. This is how you judge the roofer’s reputation. Ask to see a copy of the credentials that the business holds. You will also want access to testimonials, referrals, reviews, and any before and after pictures, if those are available. Another sign of experience is how long the roofer has been in business. How long have you been in business or working as a roofer? Could you give me any references or direction to testimonials? Regardless of where you are, every contractor needs to have credentials and insurance to ensure they can do the job without risks. Most places require roofers to follow a certain code, but those requirements will differ depending on your location. Before calling the potential roofers, research the construction codes in your area then ask whether they will follow those codes. Other questions you should ask pertain to insurance, such as general liability insurance, which will cover your property from damage in case anything unfortunate happens. What are your qualifications and/or credentials? What building codes do you follow? Do you have warranties for your work? Some roofers will try to deceive you by saying they will inspect your roof then just shingle over the parts that are weakened or damaged. If softened sections remain behind, the problem could exponentially grow later. Any prospective roofer will be able to tell you what needs to be done and why. Experienced laborers will even be able to give you examples over the phone about side effects that you might experiencing and what could be wrong, as well as how they would resolve the issue. Does my roof need to be replaced or just repaired? What are some circumstances where only sections can be replaced? What are some issues that would happen because of [insert problem here]? Depending on the condition of your roof, you might need to pay for repairs or a full replacement. It’s recommended that you receive quotes from at least 3 roofers. This is because roofers sometimes use different materials or have various levels of quality in stock to help clients with an array of budgets. Other factors that can increase the cost would be where the damage is located (ease of access to the problem), how long the job will take, what materials are needed, and whether or not they have those materials in stock. What are some services you provide for my budget? Could materials be swapped to lower the cost? Naturally, fixing a roof takes time; and replacing or improving upon the current roof could take several days if there are instances of inclement weather. You will want to know a projected timeline. However, you shouldn’t jump on the offer that promises low cost and swiftness. Experienced contractors know that quality craftsmanship takes time, and that could mean added hours. Another factor would be disruptions, such as poor weather conditions, the discovery of additional problems, lack of materials, and so on. How many hours a day can you work on this project? What if the materials are not readily available? What can be done to prevent the problem from getting worse in the meantime? Now that you know what questions to ask prospective roofers, you should be able to find the best contractor for your job that will also be kind to your budget. Make sure that the roofer can thoroughly respond to your questions without being vague. Armed with these questions, you’ll not only get information but a job well done in the end.